Titled as found on Reddit. 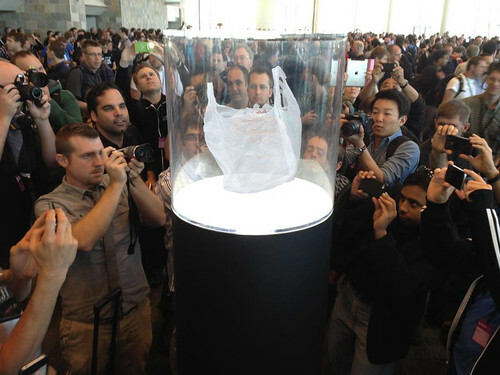 The pic is a spoof of some new Apple thing announced at the WWDC. You fanboys can have your closed systems... I doubt I'll ever buy another Apple product in my lifetime. As a general observation, I find it amusing how many people in this pic, are taking photos with their smart phones, vs how many are using traditional 'professional' cameras. Looks like a 50/50 split.